Fitbit's newest products, Blaze and Alta, were the best-looking trackers to date. But along with customizability and a new form factor came a lot of instruction. Videos were obviously the best way to demonstrate processes like swapping accessory bands or using new on-device features. But how do you infuse a bold brand personality into simple tutorials? To create videos that would stand out (just like our new products), I worked to concept, style, and art direct clips that looked straight out of a Fitbit user's home. We also created a companion experience on Fitbit.com, where we could point consumers (particularly from customer service channels). 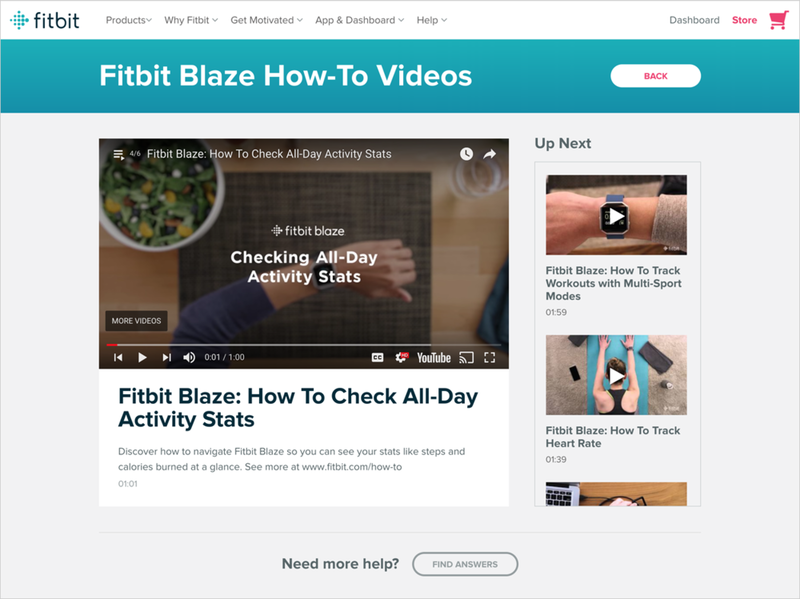 This provided a branded experience, focused the user on the task at hand, and kept them on the Fitbit website where they could check their stats or browse new products and features.